I joined the NARM training after hearing rave reviews from colleagues who were in the NARM class ahead of me. I am hugely grateful I did. NARM is the missing piece I needed to help clients liberate themselves from the aftereffects of childhood trauma. An elegant, yet flexible, framework, NARM lets us meet clients in their embodied adult consciousness in the present moment and help them gently explore and resolve the core developmental dilemmas that have kept them profoundly stuck, for years and even decades. The results can be quite powerful and moving. My clients are more engaged, curious and willing to take steps needed to facilitate their own healing and well-being. NARM has also helped me heal my own childhood trauma at a deeper level so I can provide a more skillful and compassionate secure base for my clients as they work through very difficult material. This NARM process is so powerful. Having this NARM process allows me to continue to work after 40 years when almost all my peers have burned-out or retired. Even though I am nearing the end of my career and definitely wish I had these tools 30 years ago, my clients continue to benefit greatly from my learning, telling me that what I am able to offer is so different than what they have ever experienced in treatment before. Even unsophisticated clients who know nothing about NARM, love the process and love to come back “to see what else emerges” from the process. Most come in and indicate that change is “going to take a long time”. They are mystified by how quickly a shift can occur and how permanent it tends to be. These shifts with NARM blew me away. A good part of traditional counseling methods would have given up on some of my clients, labeled them with more diagnoses, and had them heavily medicated. I look forward to seeing what can become possible as people tap into their own inner strengths and processes. It is so affirming at so many levels it is even hard to put into words. 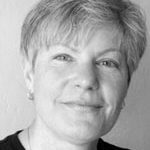 Stefanie Klein is a Licensed Clinical Social Worker, Somatic Experiencing Practitioner, NARM Master Therapist, consultant, and faculty member. 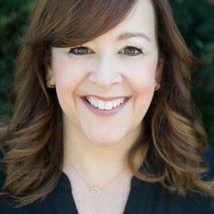 She has spent 22 years in her Los Angeles private practice specializing in treating adults with trauma and anxiety disorders. For the past decade, she has had the distinct privilege of being mentored by Dr. Laurence Heller, founder of The Neuroaffective Relational Model. Stefanie has been honored to assist Dr. Heller in all of his US NARM practitioner trainings and has found NARM to be an extremely effective model for working with attachment, relational, and developmental trauma. She has also witnessed first-hand how personally and professionally transformational the NARM Practitioner Training has been for those whom have participated thus far. Stefanie is excited to share the NARM approach with anyone looking to have more ease and efficacy in their practice.